Abstract. 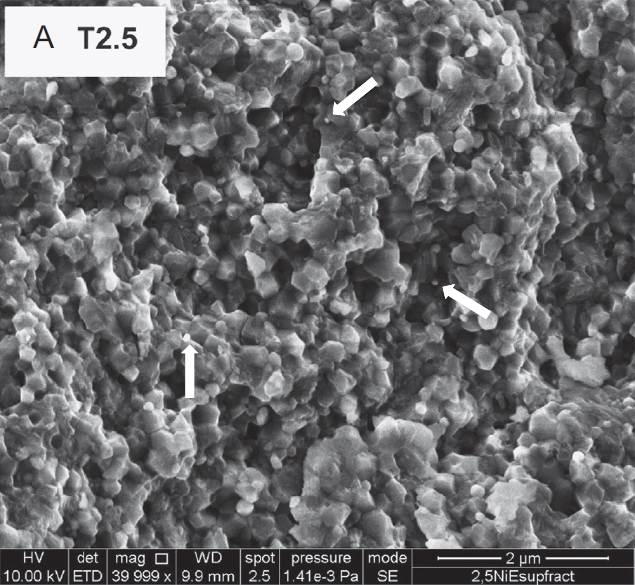 A biocompatible soda–lime glass-ceramic in the SiO2–Na2O–Al2O3–CaO–B2O3 system containing combeite and nepheline as crystalline phases, has been obtained at 750 °C by two different routes: (i) pressureless sintering and (ii) Spark Plasma Sintering. The SPS glass-ceramic showed a bending strength, Weibull modulus, and toughness similar values to the cortical human bone. This material had a fatigue limit slightly superior to cortical bone and at least two times higher than commercial dental glass-ceramics and dentine. The in vitro studies indicate that soda–lime glass-ceramic is fully biocompatible. The in vivo studies in beagle jaws showed that implanted SPS rods presented no inflammatory changes in soft tissues surrounding implants in any of the 10 different cases after four months implantation. The radiological analysis indicates no signs of osseointegration lack around implants. Moreover, the biocide activity of SPS glass-ceramic versus Escherichia coli, was found to be >4 log indicating that it prevents implant infections. Because of this, the SPS new glass-ceramic is particularly promising for dental applications (inlay, crowns, etc). Перспективные материалы, 2014, №4, с. 43 - 50. Резюме. Приведены этапы технологической подготовки и получения нанокомпозитного материала на основе оксидной керамики. В качестве основы были использованы порошки оксида алюминия, оксида никеля и карбида титана. Содержание никеля в конечном продукте было ограничено 2%, а карбида титана 25 %. По мнению авторов именно такой состав позволяет получить материал, отвечающий требуемым свойствам по износостойкости и электропроводности. Ключевые слова: нанокомпозит, оксидная керамика, искровое плазменное спекание, износостойкость, электропроводность. Abstract. 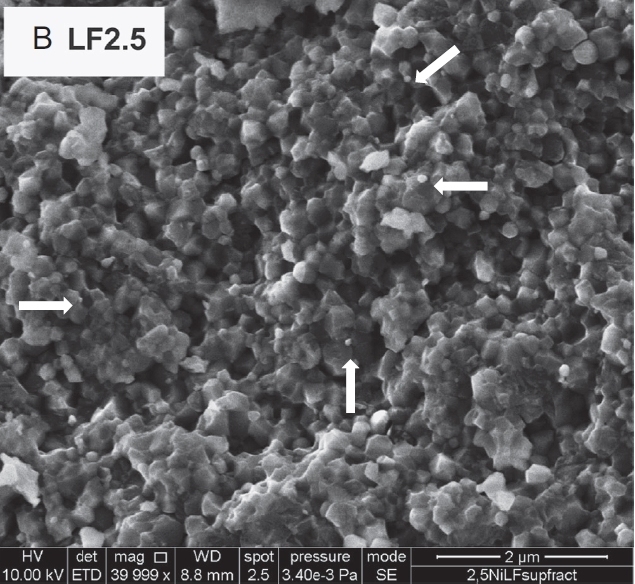 The present study is focused on the procedure of spray-drying and lyophilization techniques for the preparation of ceramic/metal nanocomposites. The results of the study at all stages are compared with those corresponding to powders conventionally dried by heating in furnace. Starting from aqueous solutions of metal salts and ceramic powders, the procedure follows with spray-drying, lyophilization, calcination of the resulting powders and subsequent Spark Plasma Sintering (SPS). 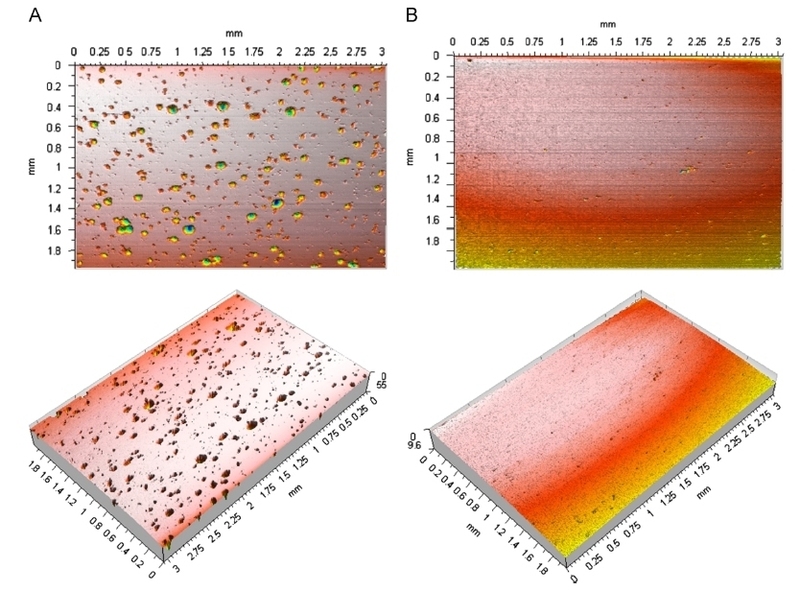 X-ray diffraction analysis of the powders at different stages of the processing routes was used for phase indexing; further characterization was performed by Transmission Electron Microscopy and Energy Dispersive X-Ray Spectroscopy, revealing that the sizes of the metal particles obtained are in the nanometer range and appear homogeneously and well dispersed on the zirconia surface. The mechanical performance of the SPSed compacts was studied by means of the Vickers hardness, showing excellent results: an increase of 30% with respect to pure zirconia. FE-SEM images of the fracture surfaces of samples with 2.5 vol% Ni sintered by SPS by both methods: dried in furnace (A) and lyophilized (B). Arrows point at some randomly chosen nickel nanoparticles identified by EDX.